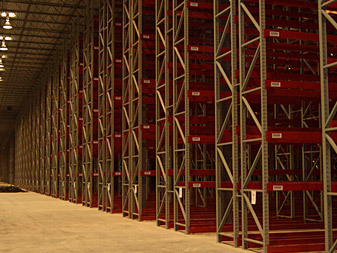 From high-density storage for warehouses and industrial business, to simple space allocation and square footage maximization, our specialty has been assisting our customers in achieving their uniquely different space allocation needs. Our commercial, industrial, and institutional racking products coupled with our experienced design and installation team enable us to approach every customer project – regardless of job size – with the same commitment to excellence, cost effectiveness, and long term investment approach. Browse the product selections on the left to learn more about our shelving solutions, contact us, or request a quote.